This course is designed for students interested in building a portfolio in different areas of art, craft and design. It is of interest both to students who wish to pursue a career or progress to further study in this area. The programme covers a variety of disciplines, as listed below. Practical studio-based assignments that emphasise problem solving and critical thinking form the basis of class work. Individual studio space allows for development of creativity and challenges the student to become more inventive and confident in their strategic thinking. Visiting artist workshops are organised to encourage an understanding of contemporary artistic practices and thinking. Students are given the opportunity to visit a number of exhibitions and art galleries throughout the academic year. An end of year show allows students to display work they have created in the course of the year. 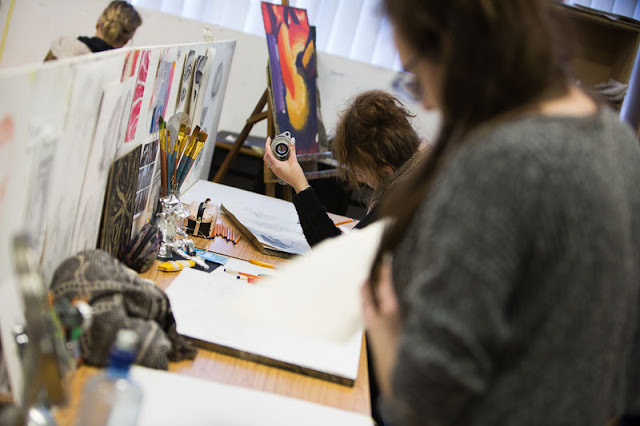 Career prospects include employment in areas such as painting, graphic design, photography, fashion design, community art, illustration, arts administration and art teaching. Graduates of this course are eligible to apply through the CAO and/or the Higher Education Links Scheme for entry to year one of a range of higher certificate and degree programmes at Institutes of Technology and Universities (please check with the particular institution regarding local eligibility requirements).